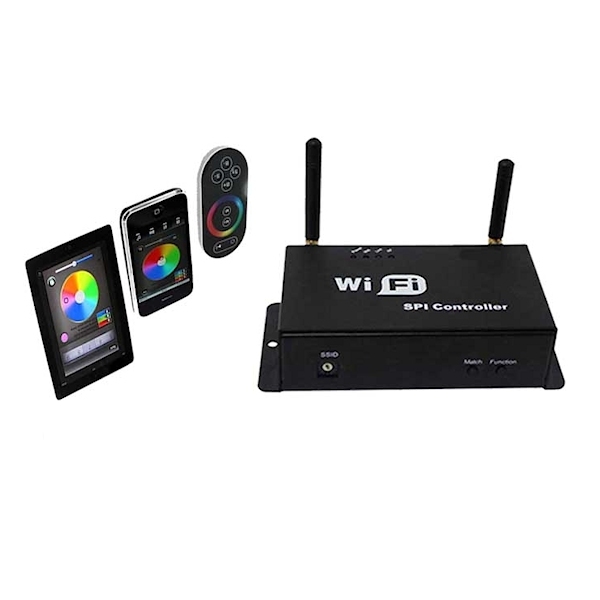 By Wireless Wifi RGB Controller LMS you can connect the android device and adjust the lighting as you wish. Together with Wifi RGB Controller LMS will get a CD which will install the plugins. The Wireless Wifi RGB Controller LMS 5v to 24v is suitable for any product RGB which operates between the voltage output. Works with all RGB products from 5v to 24 Volt. Strips LED, LED Spots, etc.